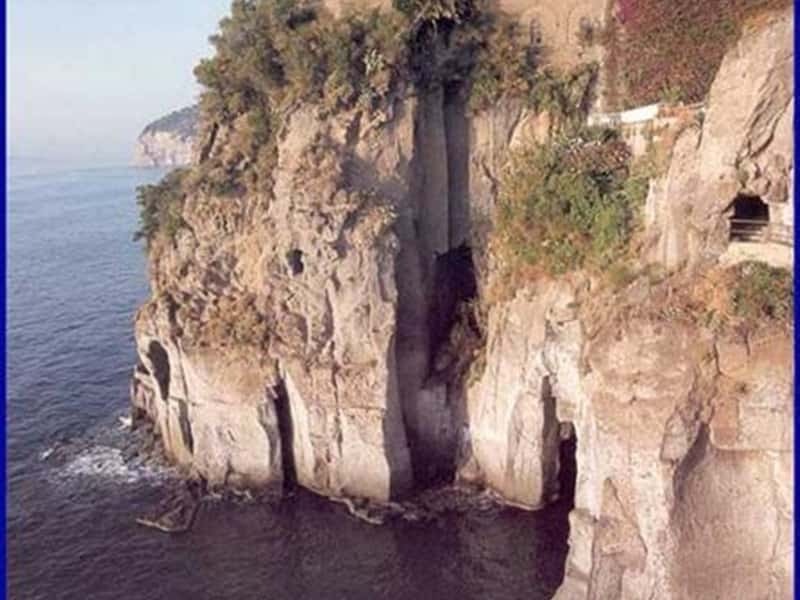 Located between Sorrento and Piano di Sorrento, the territory of the municipality of Sant'Agnello, overlooks the gulfs of Naples and Salerno, perched on a spur of tufo rock and features a series of terraces that face towards the sea. The area was inhabited since ancient times and the history of the town is closely linked to that of the nearby "Surrentum", which became a Roman "municipium" in 89 B.C., and Sant'Agnello developed and became a resort and residential area for noble patricians attracted by the mild climate and beautiful scenery. The town acquired its own autonomy only in 1866. - the splendid Church of Sant'Agnello (XVII century), built in Baroque style, preceded by an impressive staircase which leads into the churchyard; it presents a Latin cross plan with three arch ways surmounted by as many domes, a wooden engraved ceiling and three paintings prepared by the artist Joseph Mancinelli and completed, in 1873, by his son Gustavo. - the Church and the Convent of the Capuchin friars, both built in 1586. Initially the church was only a small rustic chapel dedicated to Our Lady of Porto Salvo, but thanks to the monks, that each evening used to leave a burning candle near the window, it became a landmark, a sort of lighthouse for the passing sailing vessels. After a landslides, several renovations were accomplished. In 1710 the monastery was enlarged and renovated, while in 1723, the sacristy and the famous library, full of numerous books, some of priceless historical value, were added to the dormitory. - the Tenuta of Cocumella, today home of one of the oldest hotels in Sant'Agnello, located just beyond the terrace overlooking the beach of Marinella. Built in the XVI century, it was a Jesuit residence, which later became a boarding school, an orphanage and a school. Transformed into a hotel, it remembers very important clients, such as: Lord Byron, Crawford and The Duke of Wellington. This town web page has been visited 103,053 times.